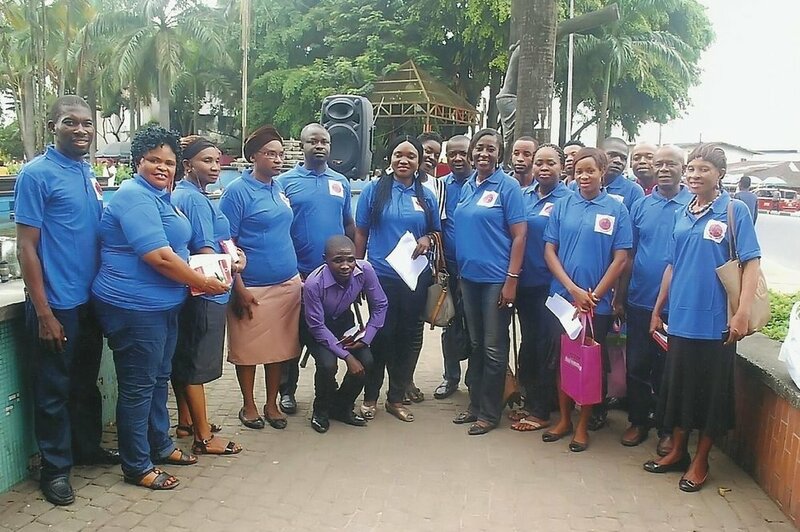 In this edition of our Newsletter, we place the spotlight on our 'P.A.C.T' (Prevent Abuse of Children Today) group in Akwa Ibom, led by Eno-Obong Akpan. Members of the Akwa Ibom PACT Group, following their successful media campaign in 2017. Hi Eno-Obong, how long has the Akwa Ibom PACT Group been running? Hi! Our group first formed in November 2016 and since then we've been meeting up on a monthly basis. What members make up your PACT group? There are over 20 of us in the PACT group. All of the members are drawn from various non-governmental organisations in Akwa Ibon State - all with the same goal, all working in the area of child rights. There is a lot of variation in the work we do. We work across all of Akwa Ibom with schools, with the media and with all areas of civil society. Soon after the group formed we met with the DPO (Divisional Police Officer) in Akwa Ibom state where our main objective was to request greater collaboration and a stronger partnership with the division to help reduce the incidence of child abuse in the state. How were the PACT Group received? The DPO was pleased to be involved. He commended the PACT group for our interest in child welfare. At the same time, he disclosed that child abandonment and neglect was becoming a growing problem in Uyo. Is there any explanation as to why that is the case? Yes, he expressed frustration over the un-willingness of the Social Welfare Department to accept abandoned children. At the moment all abandoned children are left to be kept by the Police, in the station, at their own personal expense. It’s a daily occurrence leaving the Police in a very dire situation. What can PACT do to help in situations like this? We try to raise awareness on child rights law. To make people understand that they can’t just abandon a child like they often do. Last year we embarked on a media publicity campaign through local radio and newspaper. Radio is popular, so it’s a good way of getting the message heard. We were able to reach about 5,000 beneficiaries through a live radio programme on Planet FM and several informative articles published in the local newspaper. And Ibom State Radio Station distributed over 1,000 flyers to members of the public made up of men, women and children of all ages. What do you think it achieved? The Project helped raise awareness on child abuse and other behaviours that constitute child abuse in our society. We were able to measure the impact through the large number of people asking questions about the different levels of abuse. But also, the activity managed to attract the attention of the parents of a 4 year old child who had been abused in a private school in Uyo. After the parents heard the campaign, they brought the child to PACT for follow up and we referred the case to the DPO. What does PACT have planned for the next 6 months? We have lots to do! There is more work to do on the promotion and protection of child rights (in accordance with the Child Rights Law of Akwa Ibom State) and we want to implement an advocacy and engagement project on Prevention of Child Abuse to help rescue many more children from abuse. We also have plans to focus our attention on cultural beliefs and the need for a re-orientation in Akwa Ibom, on belief systems. We want to make a meaningful impact on demystifying the belief in witchcraft culture. You can read more about the progress that Eno-Obong and his team have made when we catch up with them again later in the year.